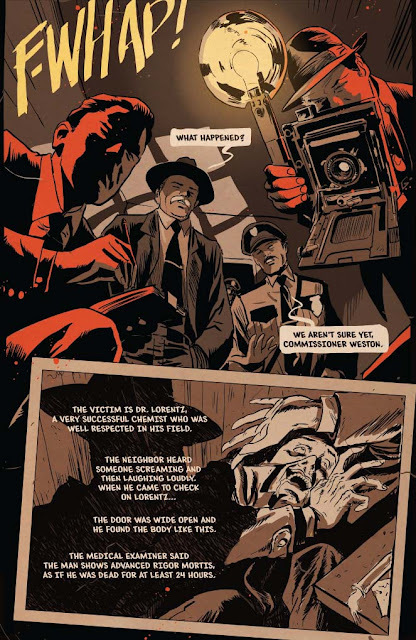 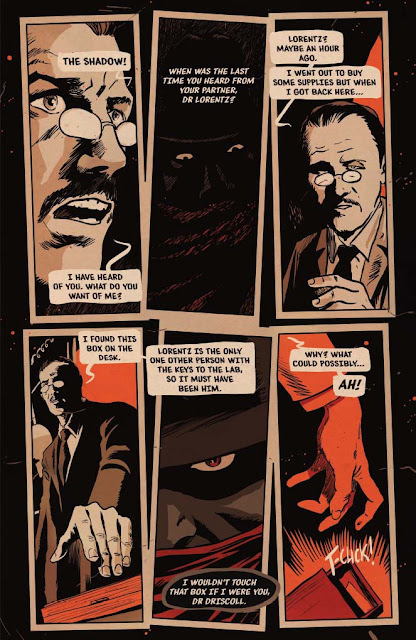 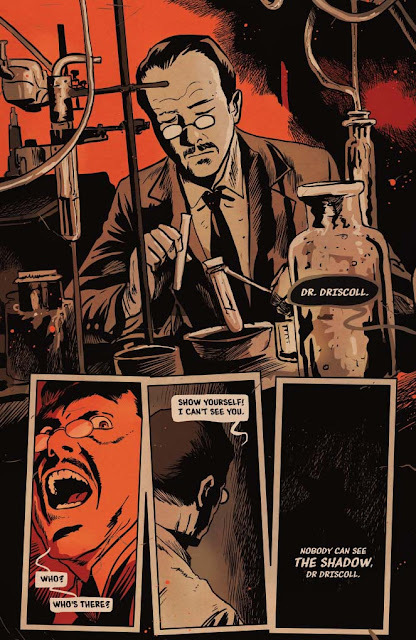 PREVIEW: 'The Shadow' #100 by Matt Wagner, Francesco Francavilla, Howard Chaykin, et al. 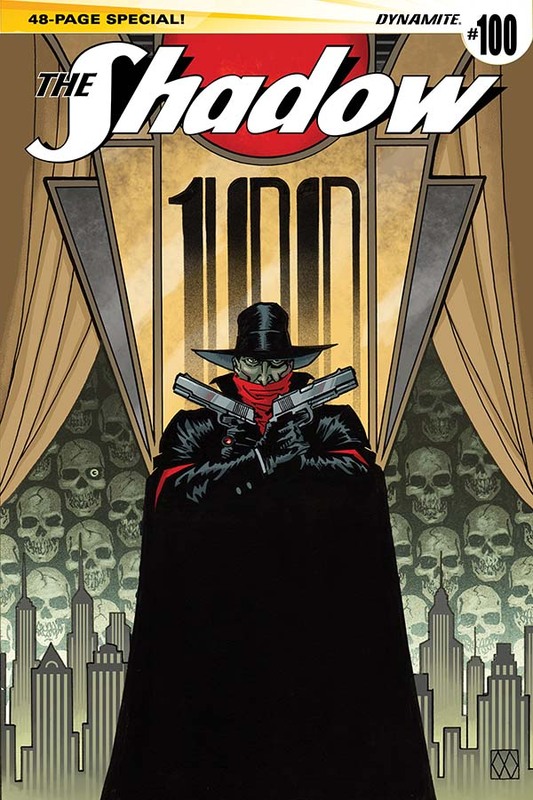 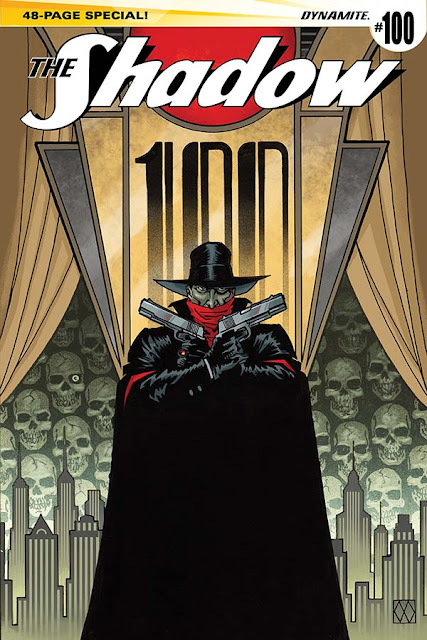 For 100 Dynamite issues, The Shadow has known what evil lurks in the hearts of men. 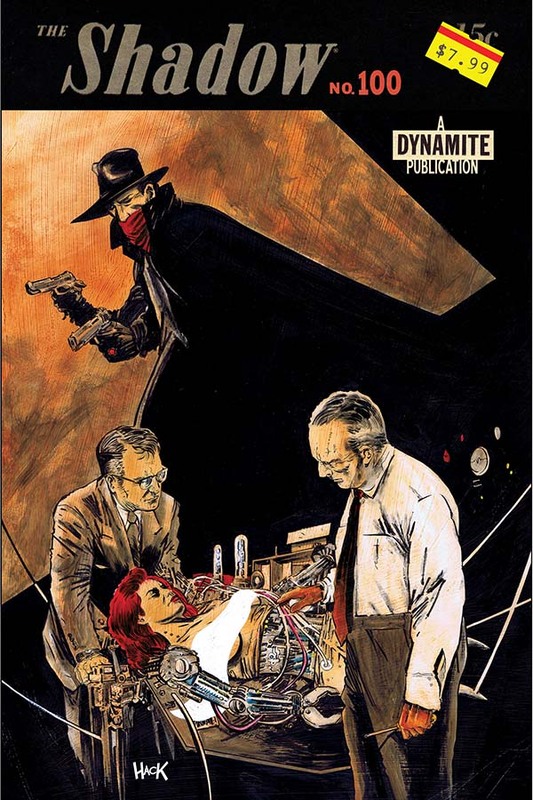 To commemorate, Dynamite Entertainment brings together master storytellers to celebrate the purveyor of justice who proves that crime does not pay. 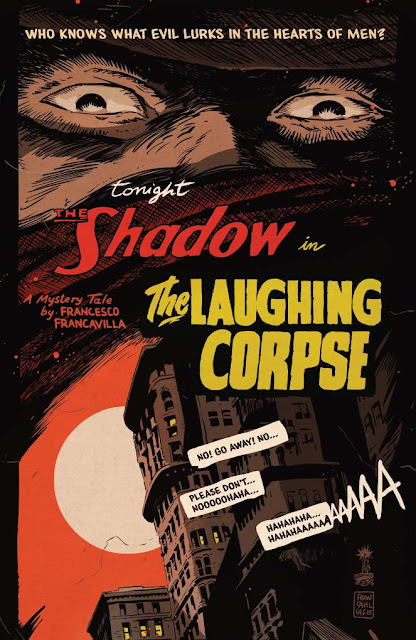 Join MATT WAGNER, HOWARD CHAYKIN, and FRANCESCO FRANCAVILLA as they pen, pencil, and ink stories so mesmerizing they don’t even need a girasol! 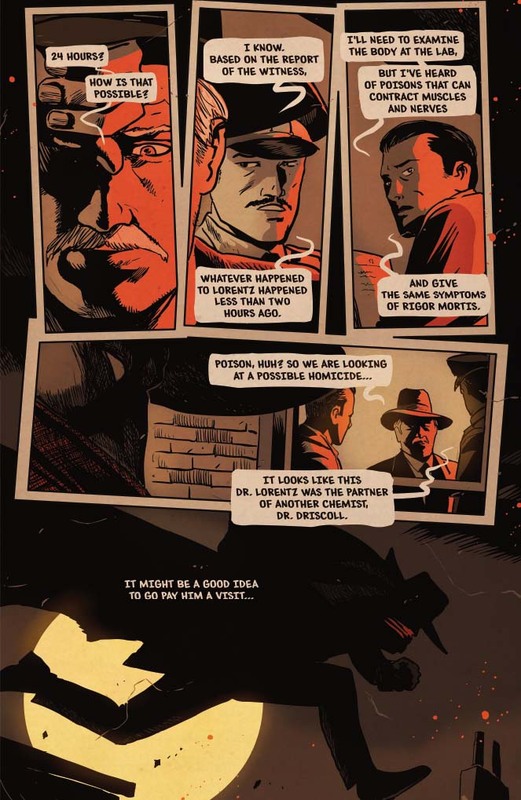 Also joining us will be The Shadow alumni MICHAEL USLAN, CHRIS ROBERSON, and VICTOR GISCHLER, paired with top artists, to show the weed of crime bears only bitter fruit! This is ONE centenarian celebration you WON’T want to miss.